to help raise money for 4 Paws for Ability. 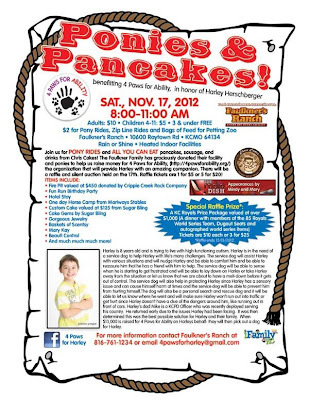 4 Paws for Ability is the wonderful organization that will provide Harley Herschberger, an awesome little 8 year old boy who is trying to live with high functioning autism, with an amazing companion. By providing Harley with a service dog he will be able to handle so many of life's challenges. From assisting him in different situations to comforting him and protecting him from harm, Harley's new service dog will be a life-changing best friend. So join us for a fun morning and help make a huge difference in this little boy's life! We'll have pony rides and ALL YOU CAN EAT pancakes, sausage, and drinks from Chris Cakes! There will also be a raffle with some totally awesome prizes! Tickets for the raffle are 1 for $5 or 5 for $20. Plus too many gift baskets to mention!!! 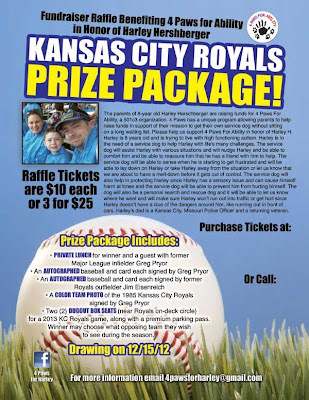 There will also be a KC ROYALS PRIZE PACKAGE!!! The prize package includes autographed World Series Items, a private dinner with a member of the 85 World Series Team, and 2 Dugout Seats to a game of your choice with a parking pass! 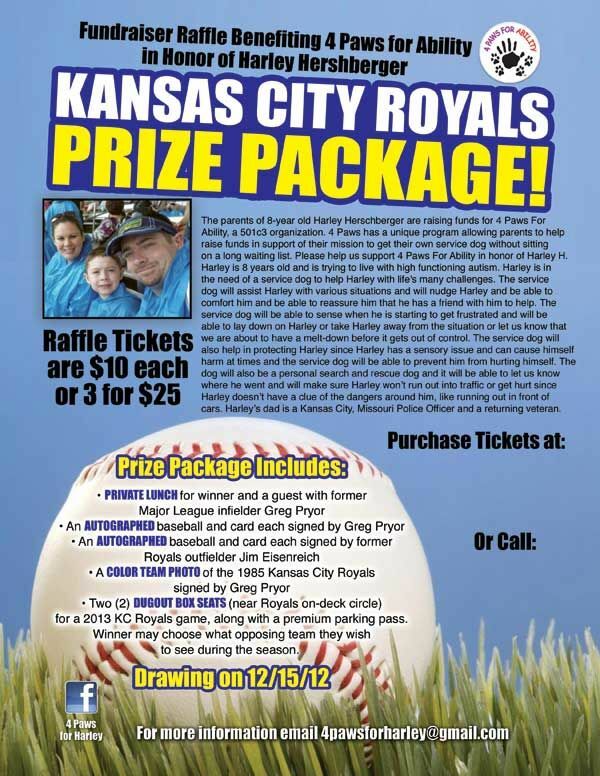 Tickets for Royals Package are 1 for $10 or 3 for $25. Tickets will be available on 11/17 or by emailing 4PawsforHarley@gmail.com. 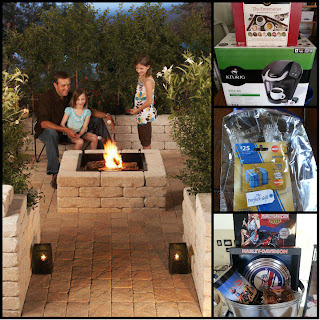 The drawing for this specific prize will be held on December 15th. We hope that you can make it to this fun event that helps out an amazing cause! For more information please contact us here at Faulkner's Ranch at 816-761-1234 or e-mail 4pawsforharley@gmail.com. 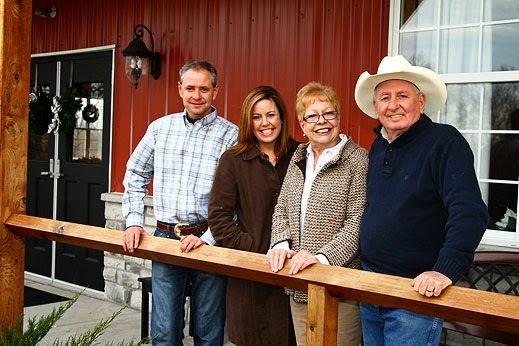 Have a great day ya'll and we hope to see you at the ranch this Saturday!